A collection of English resources designed specifically for Turks learning English. Everything from free reading and speaking opportunities to our favorite English language movies shot in Istanbul! Enjoy. In our İngilizce Öğrenmek series we like to highlight resources that can be helpful for Turks learning English. At TurksLearnEnglish.com, many of our adult students in Istanbul work in the finance industry. From banking to insurance, audit, tax and advisory. Many of our Turkish students ask us for recommendations on English language resources to keep up to date with the markets while simultaneously practicing their English. As a learning resource, these online sources are a great tool because they are free and the articles are short. Most articles only take three to five minutes to read. Short enough that its quite easy for a busy professional to fit one to two articles in per day either while at the desk or a commute. 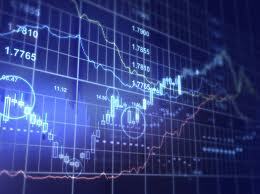 Market Watch (as its name implies) is a very US focused financial market resource. The site provides increasingly significant coverage of emerging markets, Europe and Asia. The site also offers personal finance news and tools to manage your own finances. MarketWatch is a subsidiary of Dow Jones. Articles are short, informative and written in very basic English loaded with finance terminology. Seeking Alpha is an independent website which accepts articles from a host of writers. The site was founded in 2004 by former Wall Street analyst, David Jackson and is the most widely read resource by the finance industry. There are almost 200 articles posted per day, so whatever your specialty or interest, you will find something to suit your tastes. Investopedia has evolved from a finance term dictionary into what is now a news resource. We still love Investopedia for its original purpose, a comprehensive dictionary of finance and investing terms. Its a great site to bookmark and use when one term is not yet in your vocabulary. The wonderful thing about Bloomberg is that the articles cover the wider political and economic climate. The writing is very clear and the IPAD application (free) is beautifully designed. The Wall Street Journal is a must read resource for any professional. The writing style and density is by far the hardest on our list, so would be reserved for Advanced students of the English language. The articles are highly comprehensive and the IPAD applications (free) is also wonderfully designed. As always, if you have any other suggestions for our İngilizce Öğrenmek series, please do let us know and we would love to hear from you in our comments. 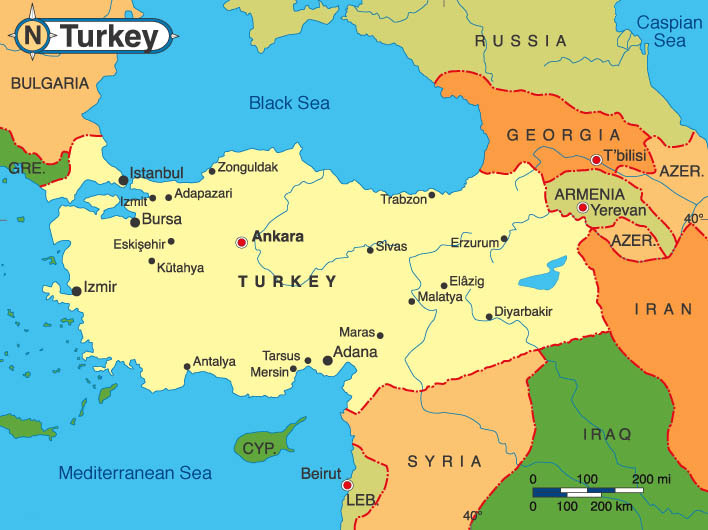 İngilizce Kaynaklar: reading resources about Turkey, Baksheesh! We like to recommend reading resources for Turks learning English. Outside of İngilizce Dersleri, it is important to read English content that is motivating through familiar subject matter. 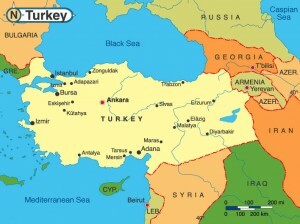 TurksLearnEnglish.com has just discovered a great English language resource for Turks learning English. Baksheesh is a crime novel based in Istanbul! The writing style is concise and simple. It is a perfect novel for upper intermediate to advanced English language students. The content will be very motivating for any Turk learning English because it covers everyday topics in Istanbul. Housing prices, parking your car in the cramped side streets, and dealing with the police and traffic! 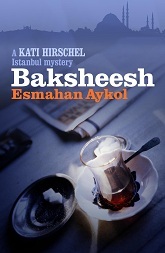 Backsheesh focuses on a character named Kati Hirschel, living in Istanbul. Kati owns a bookstore that specializes in crime stories. She obtains an apartment with the help of a bribe to a government official. A man is found murdered in her apartment, and she becomes the prime suspect! Backsheesh takes us on a tour of Istanbul, from Taksim back streets to Bosphorus villas and beyond. We meet city officials, government officials, police and businessmen. The language is sometimes a bit abrupt, but it is easy to read. We recommend the novel to our students, especially those living in Istanbul. 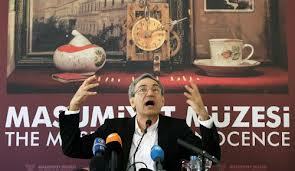 The subject matter is extremely relevant to anyone who has lived in Turkey or Istanbul. The book was originally written in Turkish and has been translated to English by Ruth Whitehouse (based in Ankara). Esmahan Aykol was born in 1970 in Edirne, Turkey. She lives in Istanbul and Berlin. 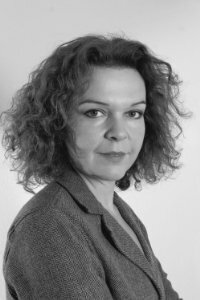 She has written four Kati Hirschel mystery novels. ‘Hotel Bosphorus’ and ‘Baksheesh’ are the first two and have been published in eight languages. As always, please let us know if you have read this book. Please recommend other books that would be good for a Turk Learning English, as a compliment to İngilizce Dersleri. Our list of web radio stations for busy Turks! Most of our Turkish students are busy. Extremely busy. And many of their lives are made even busier by their daily commutes to the office. We often recommend web radio as a great way to practice English listening skills while on the move. Most of the stations and services we recommend here are free (with some limitation on backdated content). We think that web radio, especially talk and news are a great compliment for our Turkish students learning English. Please let us know your favorite web radio stations for busy Turks! The NPR’s radio service is an amazing resource. NPR is a publicly funded talk / news radio from the US. Most presenters speak in very easy-to-understand English accents and language. Topics run the gauntlet from politics to fashion, culture, music and current events. The web radio includes a 24 hour live stream and a large database of podcasts. You can also access continuously updated (hourly) news summaries. 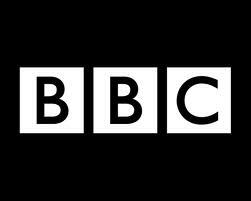 The BBC’s radio service is undoubtedly the most comprehensive free radio service in the world. With 15 English stations available, you’ll get a bit of everything (sports, music, talk, news, culture). We find for most of our Turkish students learning English, the world service station is best. It involves a mix of different topics from correspondents based all over the world. Programing is typically free for a week after it is originally aired. #1 – TuneIn Radio: Our favorite web radio station for busy Turks! TuneIn radio is not a traditional radio station. It is a service which lets you access the world’s radio (AM/FM) through the web. From news in Europe to talk shows in Africa, you have the option to search by location, genre, station type, or even name or call sign, and start listening. If you’re willing to spend $1 on the app, you can upgrade to a pro-version (Android, IOS, Blackberry). As always, we would love to here your recommendations on web radio for busy Turks learning English, please give us some feedback! Our Turkish students often ask us for novel recommendations. We find there is nothing better to motivate them then English language books set in Turkey. Some of these are famed Turkish novelists that have been translated. Others are original pieces of English language literature set in Turkey. There is a wealth of literature to pick from. You can spend an entire four year university degree studying the genre, but we’ve tried our best to pick our favorite five books! 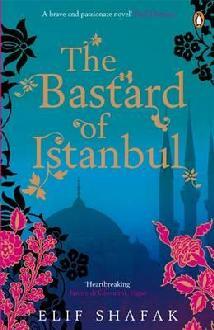 From the Nobel winning author (Snow and My Name Is Red), comes an amazing depiction of Istanbul. The protagonist, Kemal, takes a tour of “the other” Istanbul and delivers one of the most powerful English language books set in Turkey. Middle class families, seedy dive bars, Istanbul film circles, and so much more. All the while he collects pieces of treasure throughout his travels around our beloved city. Better yet, if you are ever in Istanbul, you can check out the real life museum of Innocence (in Beyoglu) created to showcase the pieces found by Kemal in his travels around Istanbul! The novel is set in a small village in southwestern Anatolia in the final years of the Ottoman Empire. Birds without Wings tells the history of the fall of the Ottoman Empire and emergence of the modern Turkish state through the eyes of a village. The battle of Gallipoli takes place halfway through the novel. The village includes Muslim Turks, Greeks, Armeinans and Cricassians. A fine example of historical fiction dealing with one of the largest population exchanges of all time but focusing on everyday village stories, rather than the geopolitics that swept the region. Published in 2002 and translated to English in 2004, Snow is considered a jewel of modern Turkish literature. A poet named Ka returns to Turkey and travels to the city of Kars. The purpose of his journey is to report on a wave of suicides among religious girls forbidden to wear their head-scarves (which actually took place in the city of Batman). The book heavily examines the interplay between secular and traditional Turkey, and is a fascinating read for Turks and foreigners alike. Written in English (and later translated to Turkish), the story is a family saga set in modern day Istanbul. The book has received extensive publicity because of the the Turkish government accusing the novel of ‘insulting Turkishness’. Publicity aside, the book is cluttered and busy with characters and themes, much like modern Istanbul. A must read for any resident of this great city! A 2010 collection of ten short stories (each by a different leading Turkish writer) translated to English and set in Istanbul. Each author gives their own, unique depiction of Istanbul and its people. An amazing a varied take on different perspectives of the same city. These stories are short, concise, entertaining and highly relevant to our Turkish students learning English, this is why we’ve picked the collection as our favorite in the list of English language books set in Turkey. Let us know your thoughts. Have we missed any must read English language books set in Turkey? I’m sure we have! In our previous İngilizce Öğrenmek post, we examined why we enjoy using Ted Talks. We feel it is a great resource for our Turkish students to practice their English listening skills. In this post, we point out that many Ted Talks Episodes with Turkish transcript are available using the transcription service function. 1. On the TED Talks main page, from the first drop down menu on the left: “show talks subtitled in” select Turkish. A list of all TED talks with Turkish subtitles will appear. 2. Select a video to watch. 3. Under the video screen will be another dropdown menu: “show transcript”, select Turkish. Now your selected video will appear both with Turkish subtitles and a Turkish transcript (located under the video). Ken Robinson challenged the way most of use think about education in this very informative 20 minute presentation. Turkish students can often relate. If they are finding the daily grind of work/university, language schools and additional schooling to be a drain on creativity and energy, Ken’s talk could be motivational. An overview about why people all over the world, from Turkey to Chile are obsessed with learning English. A great motivational piece to remind our hard-working English language students that they are not alone in their English quest! Bill Ford, an executive at Ford Motor Co. outlines a vision of the city and transportation that does not include the car. A highly relevant topic for our Turkish students from Istanbul and Ankara! This talk is for our Young Learners and their parents! The piece is about gamification, using gaming techniques to get everyday tasks accomplished. At TurksLearnEnglish.com we’ve found that these techniques can be extremely powerful for our Young Learners and Adult Learners alike. Unfortunately this Ted Talks Episode does not offer a Turkish transcript, yet it’s such a great video that we have posted it regardless. Tristram analyzes the astounding amounts of food waste that occur across the world. A highly relevant post in a world with increasingly less food resources. Please let us know your thoughts, have we missed any Ted Talks classics? Our Turkish students love to tell us when an English language movie is shot in Istanbul. The Accidental Spy is a classic Hong Kong fight movie starring Jackie Chan. The movie is shot in Hong Kong, Seoul, Istanbul and Cappadocia. Its not 100% in English, but a significant amount of the dialogue between the Chinese and Turkish characters is in English. The movie is entertaining and despite having serious elements in the plot, it also contains significant comedic twists. It’s a great film for adolescent learners. The film is also relatively obscure, meaning most Turkish students will not have previously seen the movie. The International is an American Action Thriller directed by Tom Tykwer. The movie follows an Interpol agent as he tries to uncover the financial corruption of a merchant bank. The movie’s settings are also international, covering Lyon, Milan, Berlin, Istanbul and New York. The Istanbul scenes include an action-packed sequence set in the Grand Bazaar. Our older Turkish students learning English love Taken 2. It is almost entirely set in Istanbul and is an action packed thriller. It stars Liam Neeson who does a great job in the intense drama. In our list of English Language Movies Shot in Istanbul, it would be wrong not to include 2012’s Oscar winner for Best Picture. Argo, as many people may have noticed, is almost shot entirely in Istanbul. Both the scenes set in Istanbul (where Afleck obtains his visa to enter Iran) and the scenes set in Tehran, are filmed in Turkey’s biggest metropolis. The infamous scene where the mock movie cast goes to the bazaar in Tehran, is actually Istanbul’s Grand Bazaar. More than a couple of our Turkish students learning English have pointed this out to us! 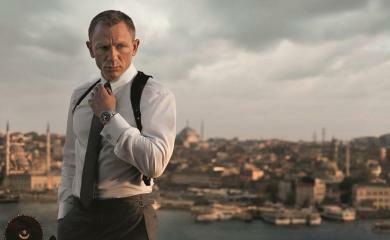 For our favorite in our list of English Language Movies Shot in Istanbul, we chose not one but three Bond movies. From Russia with Love (1963), The World is not Enough (1998) and Skyfall (2012) all have fabulous on-location shots of Istanbul. Bond directors knew how to take advantage of the incredible shooting opportunities in the city. From Russia with Love includes an action scene in the Basilica Cistern. The World is not Enough’s main climax features a submarine in the Bosphorus. Skyfall’s opening scene may be one of the best Bond action sequences of all time, a motorcycle chase on the roof of the Grand Bazaar! We hope that you enjoy these English language movies shot in Istanbul as much as our own Turkish students. Please let us know whether we’ve missed any classics! 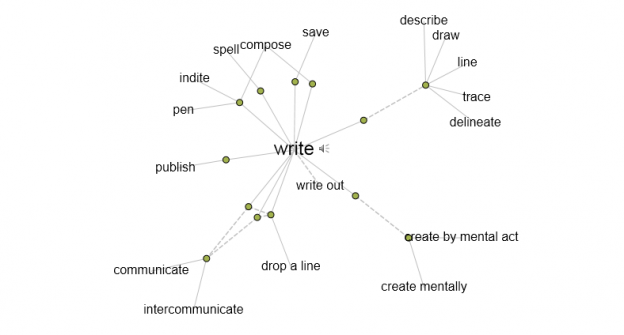 An online thesaurus to improve your writing. In this short post we look at how Turks learning English can benefit from using an online thesaurus to improve writing and increase general vocabulary. The thesaurus, in Turkish ‘eşanlamlılar sözlüğü‘, is one of the best tools available to improve your writing. Not only that, it’s also an productive way to increase the number of words you use actively in your daily speech. The thesaurus, ‘a dictionary of words grouped together with similar meaning’, is familiar to any English speaker who has spent time writing essays in high school and beyond. The most famous thesaurus in the English language was compiled by Peter Mark Roget and first published in 1852. 160 years later, the thesaurus has naturally found its way online. The Thinkmap Visual Thesaurus is one that I have used for some time, and I want to recommend it to Turkısh students of English. One of the hardest tasks when writing is to use different and varied words. For example, ‘güzel’ in Turkish is almost always translated by English learners as ‘nice’. Unfortunately, ‘nice’ and ‘güzel’ are two words that are used so often that it actually becomes a little boring to see them in writing again and again. With this online visual thesaurus, all you need to do is type in a word, and you will see a display of all similar words in the English language. The similar words (synonyms) are grouped together and make it easy to learn a few at a time. Secondly, as you move your mouse over each word, the online thesaurus presents a definition of the selected term and an example or two of how it is used in everyday English. When writing, it’s advisable to use a wide range of vocabulary. The thesaurus helps you to locate the exact word you need and to avoid repetition. A wider choice of words and phrases is essential to maintain the reader’s interest. Finally, the online visual thesaurus is the perfect tool to increase your active English vocabulary, For example, when you type in the word mentioned above, ‘angry’, more than 30 English terms appear in the online thesaurus. When you see these words grouped together, it’s easier to memorize them. The ThinkMap Visual Thesaurus also has a blog, a spelling bee and a ‘word of the day’, so there’s plenty to help you on your way to becoming a wordsmith! Discussing Turkey, its history and current affairs in English is important for our students. For our Turkish students who travel abroad or who host foreign colleagues in Turkey, conversations about Turkey are bound to happen. Reading about Turkey in English can also be extremely motivating as there is an immediate sense of relevance and understanding. For these reasons, we’ve decided to list our favorite online English resources about Turkey. These resources can easily be incorporated into a weekly reading routine, which should include a balance of local and international topics. Cornucopia bills itself as a “magazine for connoisseurs of Turkey” and it delivers. The magazine includes well written articles about Turkey’s history, travel destinations, culture and food. The magazine has been going strong for 20 years and has three print issues per year. Online there is a significant amount of content available for free, and a constantly updated blog. The Journal of Turkish Weekly is a great source of academic articles about politics and current events in Turkey and the wider region (Middle East, Balkans, Caucuses), and it is updated daily. It is published by a leading Turkish think tank, based in Ankara, the International Strategic Research Organization. For any Turk who likes big topics in current affairs, the Turkey page of Reuters US edition website offers several well-written thought-provoking articles each week that are bound to stretch your mind and vocabulary. #2 The CIA World Factbook: get your facts right! Even though it’s written by the US government, and the CIA no less, the CIA World Fact Book has a vast array of information located in its country profiles. It’s a great way to get your facts straight on everything to do with Turkey including geography, demographics, government, the economy and politics. The Factbook is kept meticulously up-to-date and is a wonderful source of facts about all 196 of the world’s nations! Online guidebooks such as the Lonely Planet, the Rough Guide, Wallpaper City Guides and Frommer’s offer a great way to learn about Turkey’s key sites that have attracted visitors for centuries. These guides also contain concise historical sections, restaurant recommendations and are a great source of information on logistic matters such as public transport and entry requirements. You can easily become the knowledgeable guide that foreign visitors to Turkey dream of! Much of the content is available for free on their websites. As always, let us know what you think and what other topics we should cover! In English, how can I ….? In English, how do I say …? In English, how to express …?